Jordin Sparks buried her 16-year-old stepsister ... just one week after asking for prayers following complications from an illness. 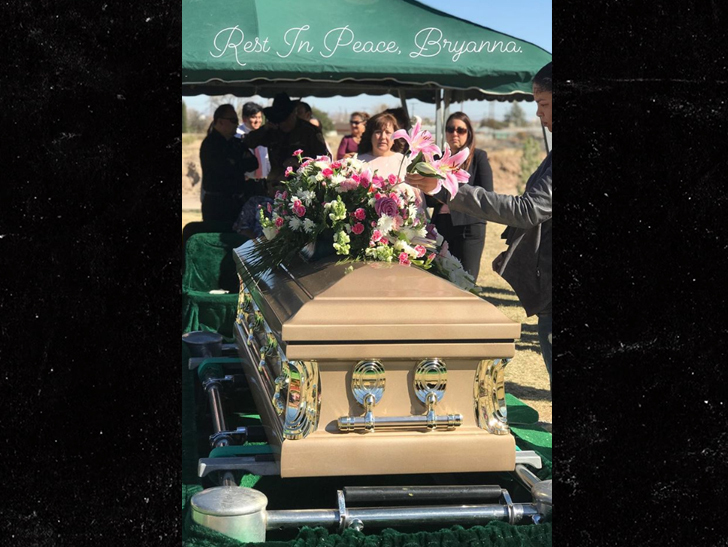 The former "American Idol" winner posted this pic Monday showing her at her stepsister Bryanna Jackson-Frias' funeral ... who died last week from sickle cell anemia. The disease causes red blood cells to stick to vessel walls, which block blood flow. Following Bryanna's death, Jordin said "the world is less sparkly without you in it. Rest in peace." The tragic news comes just months after Jordin announced she secretly got hitched and is pregnant. Jordin Sparks Secretly Married Fitness Model Boyfriend in July!! !